Beyond the Gilded Age: Grand Central Terminal Turns 100! 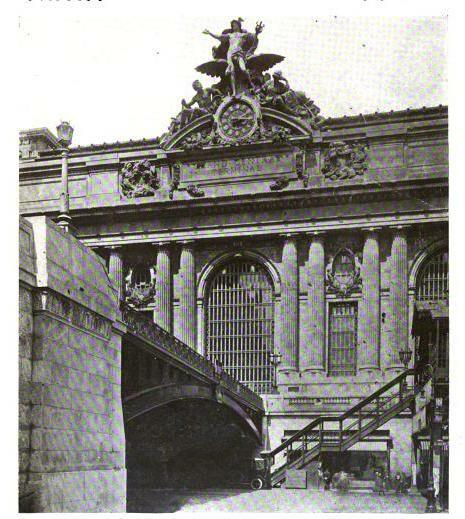 Grand Central Terminal Turns 100! 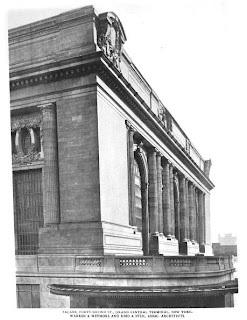 Grand Central Terminal designed by Warren & Wetmore and Reed & Stem c. 1913 at 89 East 42nd Street in New York City. 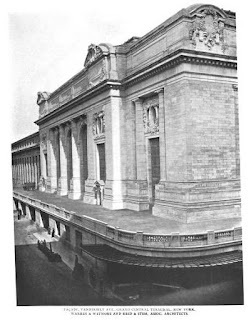 Tomorrow at midnight will mark the 100th birthday of the railroad terminal which was built to replace the Grand Central Depot that had previously stood on the site. Click HERE and HERE for more on Grand Central Terminal. 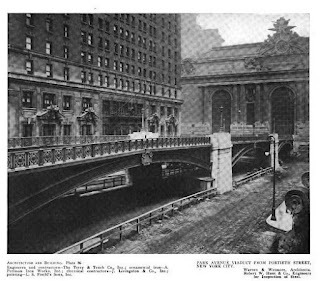 Click HERE for Christopher Gray's Streetscapes column on the unbuilt tower that was part of the original plan. 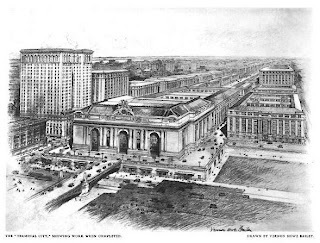 Click HERE for the Wikipedia page on Penn Central Transportation Co. v. New York City, the lawsuit that brought about the ability for landmarked NYC properties to transfer their developable air-rights to adjacent sites, ultimately upholding the city's landmarks law. 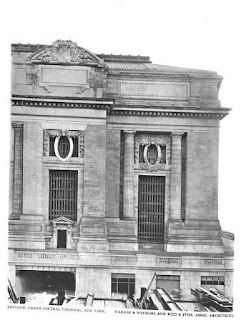 Click HERE to see the station on google street view. 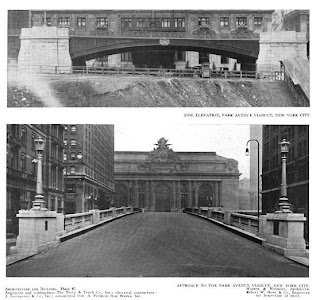 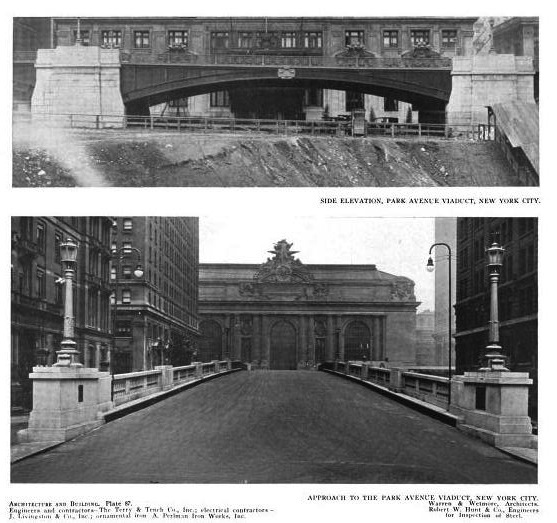 Photos from Architecture, 1913, Architecture & Building, 1913 and Architecture & Building, 1919. A masterful architectural composition and an equally ingenius solution to complex traffic patterns, pedestrian flow and of course trains. A remarkable low rise survivor in midtown considering the eventual fate of Penn Station with special thanks to all the active and vocal preservationists who played a large role in its survival. 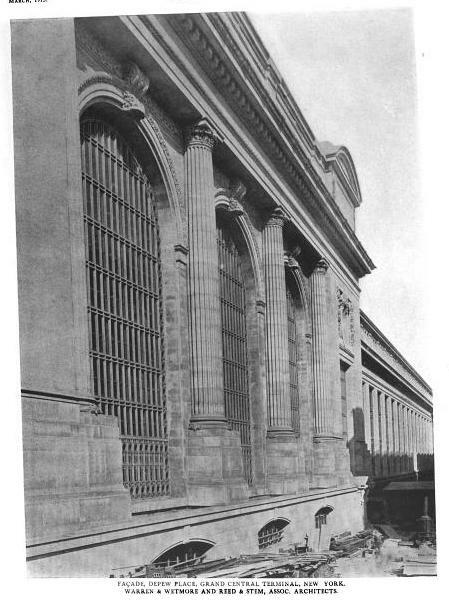 They try but they just dont build grand spaces like this anymore. 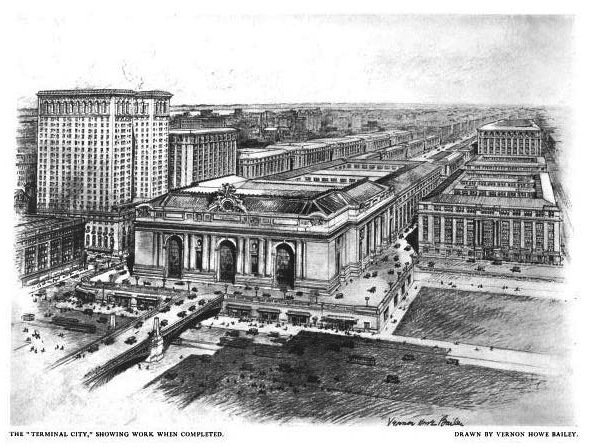 Calatrava is making an attempt in lower Manhattan but GCT will be hard to beat. A personal favorite so magnificent and happy birthday! !